Sonata watches have been so popular that every now and then people aren’t aware of the fact that it is not a company in itself, but a sub-brand of the Titan Company – an organisation that brought about a revolution in the Indian watch market with their futuristic quartz technology and international style. The fifth largest integrated own brand watch manufacturer in the world, Titan Company started its journey in 1984 as a joint venture between the Tata Group and the Tamil Nadu Industrial Development Corporation. Almost a quarter century later and after having sold 150 million timepieces across 32 countries, Titan now holds about 60% of the organised watch market. After the success of the brand Titan, Titan Company launched its second brand, Sonata. Met with much popularity, Sonata gives you a lot of stylish and elegant watches for both men and women across all age groups. Whether you are searching for an accessory that is minimalist or ornate, or one that suits both your style and your budget, you are sure to find something from this brand. 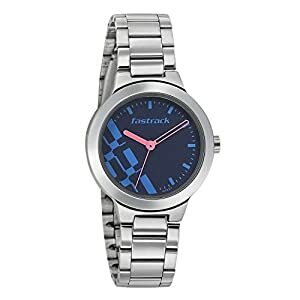 This Sonata Analog Women’s Watch has a stainless steel case back that protects the dial and the movement of the watch, making the watch sturdy and durable. The strap of this watch is made of stainless steel too and this makes this strap resistant to rust and corrosion. Even the dial case of this Sonata watch is made of stainless steel and it has a diametre of 23 millimetres. A deployment clasp is attached to a stylish strap and it clasp ensures a comfortable fit on your wrist. The design of this watch strikes a perfect balance between glamour and sophistication. 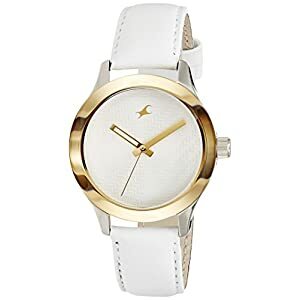 The round, white and silver dial, complemented by the shimmery, silver strap and dial case makes this watch the perfect choice for women of all ages. The dial face has three slender watch hands and 12 black and silver, stick hour markers to display the time. 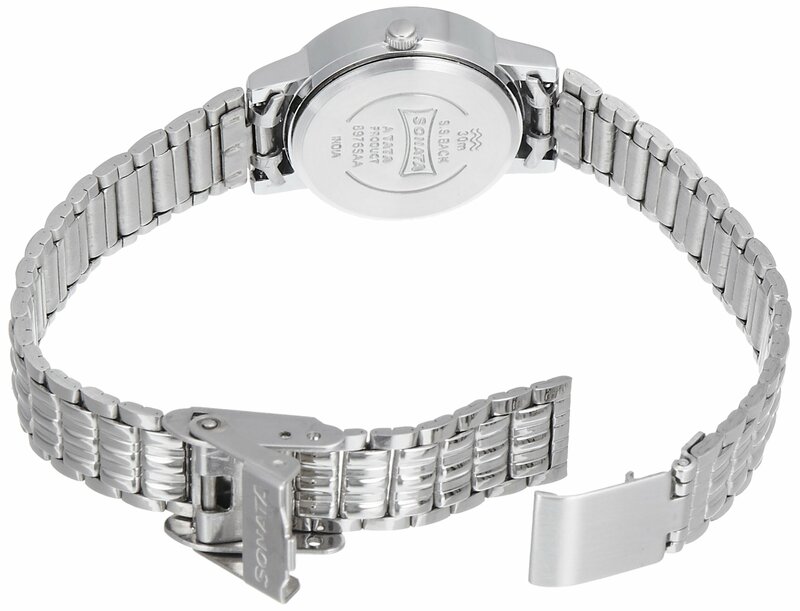 The strap of this watch has a polished silver shade and a textured patter. 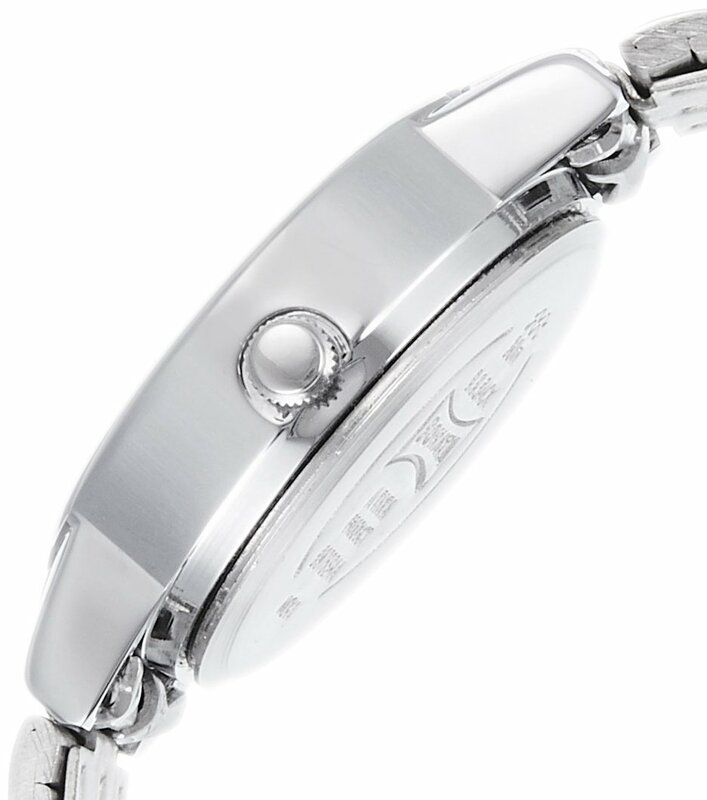 The dial case of this watch has a round shape and on the right hand side it has a crown that helps you to set and adjust the time manually whenever you wish to. As stated on the case back, this watch has a water resistance capacity of 30 metres. Whilst this feature protects the watch from accidental spills or splashes of water and light rain, you should avoid exposing it to water often and take it off before you go swimming. The display type of this Sonata women’s watch is analogue and it functions with the help of a quartz movement and a battery. Since this is an analogue display, it is possible for you to to tell the time with the help of the three watch hands – hour, minute and second – placed on the dial face. 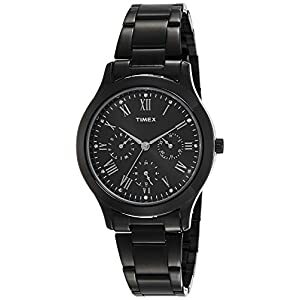 This watch can be worn with both your casual or semi-formal outfits. 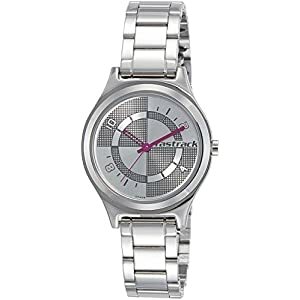 This watch has a sleek, silver look that will complement most outfits, whether Indian or western. Wear it with a pair of denims or capris or shorts with a tee shirt, or wear it with a salwar suit or saree with silver embroidery. Since it is a silver watch, you’ll be able to wear silver jewellery to match too. This Sonata watch can be worn to casual and semi-formal events. It is really the perfect accessory for every outfit. Therefore, shop for this Sonata watch online at your earliest and be a trend setter among your friends circle. It also makes an excellent gift for any occasion. This watch will reach you in a compact package that has inside it a stylish, portable box. Also, as the container is portable and lightweight, you’ll be able to carry it in your bag whenever you are travelling.